Sense8 – Season 2 (2017) – What's New on Netflix Canada Today! The journey continues as these eight singular hearts and minds weave in and out of each other’s lives finding deeper connections, learning darker secrets about one another and struggling to identify with more than just oneself. 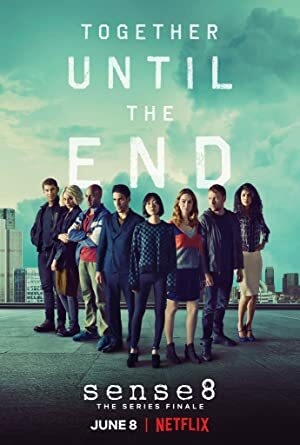 – Sense8 tells the story of eight strangers: Will (Smith), Riley (Middleton), Capheus (Ameen), Sun (Bae), Lito (Silvestre), Kala (Desai), Wolfgang (Riemelt), and Nomi (Clayton). Each individual is from a different culture and part of the world. In the aftermath of a tragic death they all experience through what they perceive as dreams or visions, they suddenly find themselves growing mentally and emotionally connected. While trying to figure how and why this connection happened and what it means, a mysterious man named Jonas tries to help the eight. Meanwhile, another stranger called Whispers attempts to hunt them down, using the same sensate power to gain full access to a sensate’s mind (thoughts/sight) after looking into their eyes. Each episode reflects the views of the characters interacting with each other while delving deeper into their backgrounds and what sets them apart and brings them together with the others.